Product #13 | SKU 1060-027-100 | 0.0 (no ratings yet) Thanks for your rating! The Pelican 1060 Solid Micro Case (Black) is an unbreakable, watertight, airtight, dustproof, chemical resistant and corrosion proof case. It is made of copolymer and has a matching liner. 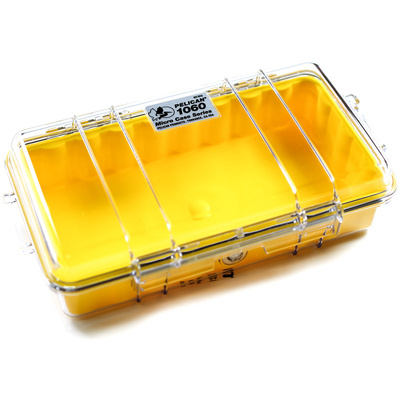 The case has a speed lock, clear purge cap. The case can be attached to a belt or strap using he included carabiner.